Zuora Central is a platform that helps companies orchestrate the Order-to-Cash process. The following integration blueprints provide guidance on how to integrate these various systems to the Zuora Central platform. For B2B companies with an existing CPQ, you have the option to connect your CPQ solution to the Zuora Central platform. By connecting to Zuora Central, you take advantage of the pricing, orders, subscription, usage, AR, and revenue data in our platform. If you don’t have a CPQ solution, Zuora CPQ is an application available to all Zuora customers. Zuora CPQ is built natively on force.com and used by 400+ companies globally today. For more information on Zuora CPQ, click here. Traditional CPQ solutions require the user to select a price book from which to quote. The Zuora pricing catalog is “flattened” when leveraging a 3rd party CPQ. 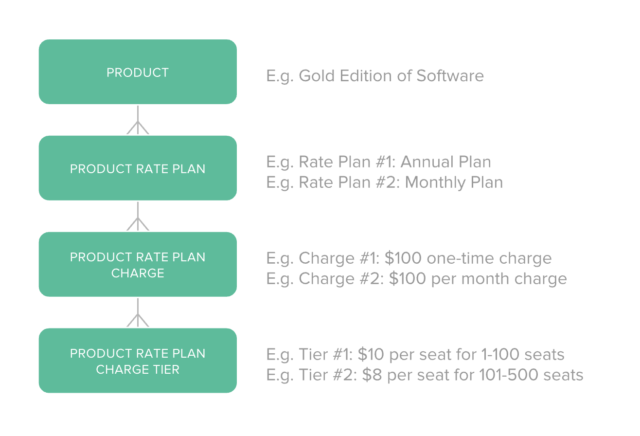 Only one Charge per Product Rate Plan is used. Multiple Product Rate Plans under the Product indicate the product has been registered across multiple price books. One price book entry maps to a single Product Rate Plan Charge. The Product Rate Plan Charge may contain tiers if the 3rd party CPQ price book entry can support that level of flexibility. The Subscription data object captures what the customer is subscribed to and for what time period. The Subscription Rate Plan data object captures which Rate Plan the customer is signed-up for. The Subscription Rate Plan Charge represents the individual charges (one-time, recurring, or usage) that the customer will pay as part of their subscription. CRM system is used to manage accounts, contacts, and opportunities. CPQ Quotes are related to CRM Opportunities. 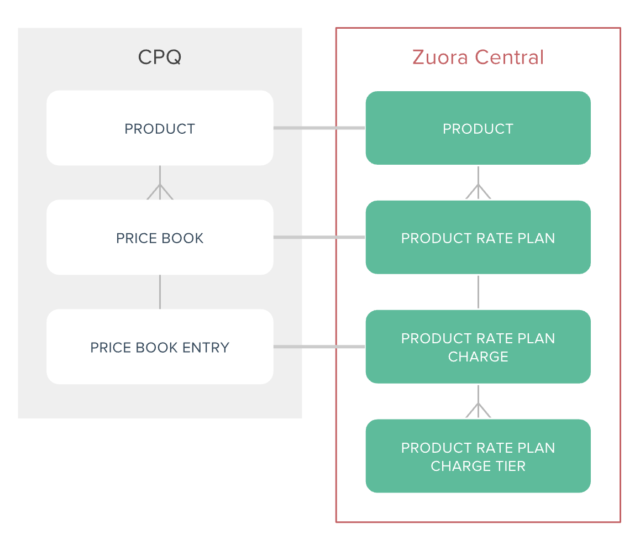 The CPQ Quote Line Item is mapped to the Zuora Subscription Rate Plan Charge. This inherits the value of the quote line quantity and charge-specific attributes as well as if a discount has been applied. An approved Quote is “booked” as a deal when it is turned into a Zuora Order. For the majority of use cases, a single Subscription will be created on the order. For advanced scenarios, multiple Subscriptions can be created. A Zuora BIlling Account is created from the CRM Account and Contact details. For existing accounts, the Zuora Central Billing Account is related to the CRM Billing Account. The CRM Billing Account will be used when quoting to ensure appropriate treatment downstream. Metrics (MRR, TCB, TCV) for the Quote and Quote Line Items can be calculated by invoking the Zuora order preview method. Subscription Orders in Zuora are key to accurately capturing the ongoing changes across a subscription lifecycle and the downstream metrics associated with those changes. Every Order can have multiple Order Actions that creates or amends a subscription. Order Actions include creating a subscription, updating a subscription, adding or removing products, pausing a subscription, resuming, T&C changes, cancellations, and renewals. CPQ Quotes can rely on the accurate representation of the customer contract by referencing the latest version of the subscription in Zuora Central. This provides complete cross channel integrity, even if subscription changes were made after the initial quote. Quote Line effective prices during mid-contract changes can be determined easily by invoking the order preview method to offload the heavy lifting of proration and cotermination calculations to Zuora Central. All changes to the initial subscription version are “booked” as a new Order in Zuora Central. Order Actions describe the various changes, which will result in the next version of the billing account’s Subscription. Coverage across all Zuora Central Order Actions is dependent on the CPQ solution being used. Adding Zuora’s Hosted Payment Pages to your CPQ allows you to collect payment methods in Zuora in a PCI-compliant manner. You can add a custom button in CPQ to call up the HPM page. You can also add a button to save payment methods back to Zuora. You can add optional parameters upon order submission to generate invoice and process payment immediately. We understand how important your CRM is to your business, especially when it comes to subscriptions. In order to build a strong relationship with your customers, you turn to your CRM to get a historical view and analysis of your acquired and to be acquired customers. But there are some things that your CRM is naturally missing like your customer’s billing data that can make it even better. That’s when we come in. Support / Service: Zuora exposes customer subscription, billing and payment history, renewal dates, and key subscriber metrics in the support / service system for complete visibility into the subscriber relationship allowing agents to process transactions. To take advantage of Zuora’s billing data to make your CRM more robust, we’ve developed Zuora 360 Sync, our pre-built integration between Zuora and Salesforce. With Zuora 360 Sync, you can send account, subscription, invoice, and product catalog data from Zuora to Salesforce. This provides a 360-degree view of customer account, subscription, billing, and payment information that you can incorporate into your Salesforce applications. The Zuora 360 Sync for Account and Related Objects synchronizes Billing Accounts and their related objects (e.g., Subscription, Invoices, Payments, Subscription Changes, Payment Methods, Refunds) from Zuora to Salesforce. It only synchronizes Billing Account (and their related objects) that are associated with a Salesforce CRM Account ID. The table below summarizes Zuora 360 sync types. For more details, please visit the Knowledge Center. When it comes to subscription accounts receivable, many times your GL wasn’t designed to interpret complex subscription changes. That’s when Zuora comes in. 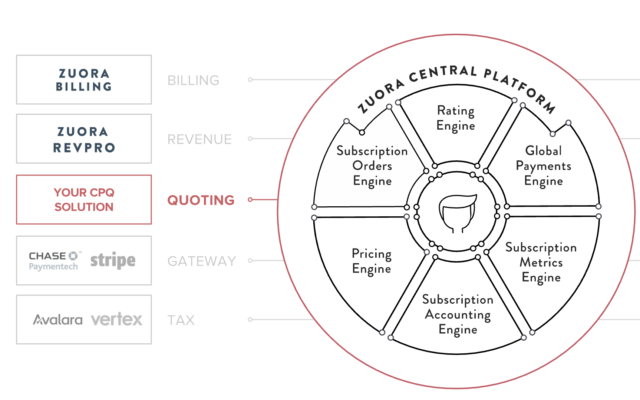 Zuora Central’s Subscription Accounting Engine’s advanced data capture allows customers to translate revenue and A/R transactions into subledger entries. When it comes to integrating to your GL, we give you the freedom to send data either through transaction level details or summary level journal entries so your finance and accounting teams can easily close the books. See below for more information on how we send data through transaction level details or summary level journal entries. Do you use NetSuite and struggle with handling the billing aspects of your subscription revenue? 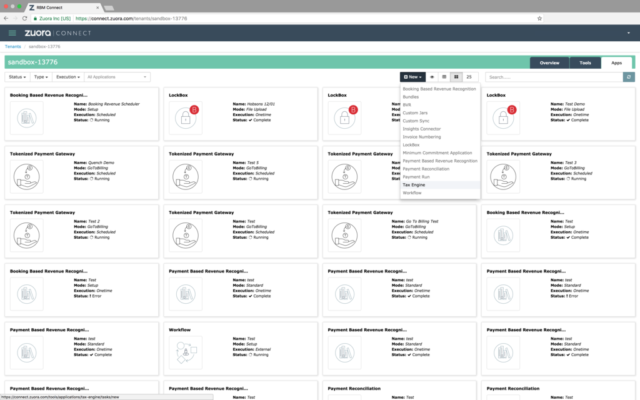 Look no further than the Zuora Connector for NetSuite. Using our NetSuite integration, you can leverage both Zuora’s ability to manage complex subscriptions and NetSuite’s hosted General Ledger system. For more information, please visit the Connect Marketplace. The process of formatting financial data from Zuora to fit the required format of your general ledger can be a time consuming process. Evaluating errors in the transcription process by hand can make the project more cumbersome and can increase employee workload. Zuora’s Configurable Summary Level GL Interface offers you an automated solution for this problem. With one time configuration and a high level of customizability, this application can pull all this data for you and format it in a fashion that fits your GL. Zuora does all of the heavy lifting when it comes to payments. Payment details are passed from Zuora to payment gateways to process payments and the payment gateways return successes / failures. We provide a uniform interface and API so once your system integrates with our API once, you can access 30+ different gateways to do business around the globe. Plus, we are PCI compliant so we will secure your payment methods in our vaults so they can be rerouted to different payment methods. See how we integrate with Payment Gateways and Lockbox in more detail below. A critical piece of the billing and commerce puzzle is signing up with a payment gateway. These are the companies that will help you connect your virtual shopping cart or virtual terminal/POS to the payments infrastructure that facilitates payments made with either a credit card company or bank network. Zuora has pre-integrated with the most popular gateways on the market and allows you to set up one or more payment gateways for payment processing. For more information, please visit the Knowledge Center or the Connect Marketplace. Let’s face it – nobody likes manually entering checks into their billing system. Wouldn’t it be nice if it could all be automated? That’s what we sought to answer with our Lockbox integration. By integrating with Zuora, any bank’s lockbox can automatically point data from a check and map it to your billing data in Zuora. Not only does this free up headcount, but our integration makes the process more reliable in terms of processing payments and responding to failures and retries with logic rules. See below for more information on how we integrate with your bank’s lockbox with the Configurable Lockbox Connect App. Do your customers prefer to pay by check over electronic methods? Does this require your billing operations department to manually key in each check payment and match them to accounts and invoices? Have you signed up with a lockbox bank provider to streamline the process, but still find your staff overwhelmed? Zuora’s Configurable Lockbox is the answer for you. Zuora’s Configurable Lockbox can integrate to any lockbox bank provider and is easy to launch and configure so you can start automatically matching and applying check payments. We send tax locale and line item pricing information to 3rd party tax engines to calculate tax rates and the engines return the rate amount to Zuora for invoicing. To fulfill different use cases, we decided to make our core product fully extensible and easy to integrate for both batch and real-time calculations. See below for more information on how we think about batch and real-time calculations for tax. The Avalara Connector is a legacy solution that some existing tenants use. 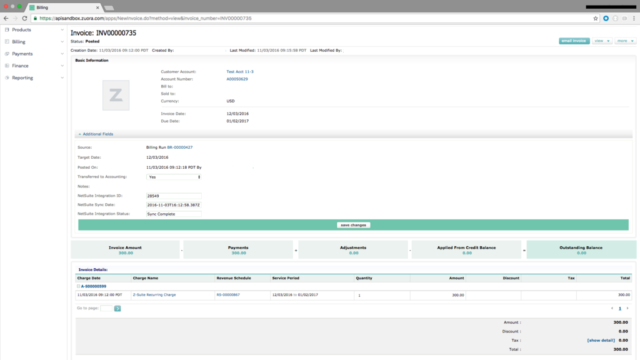 The Avalara Connector calculates tax rates in batches during bill runs and invoice item adjustments. This method has a number of limitations, however, and all new Zuora customers are encouraged to use the real-time Avalara integration. The Avalara AvaTax integration is a server-to-server communication between Zuora and Avalara servers. The connection is through the Transport Layer Security (TLS) protocol. All customer credentials are protected and follow industry best practices.